Successfully saved Paper-Wrapped Chicken to your Calendar. You can also save the ingredients to your Grocery List. 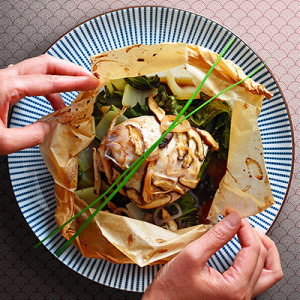 If you have my All-Purpose Stir-Fry Sauce on-hand, you can make Paper-Wrapped Chicken! It's a Whole30-friendly, all-in-one weeknight supper!